Williamstown Theatre Festival has announced additional casting for the 2017 summer season. Two-time Tony Award-nominee Jayne Atkinson and Cote de Pablo will appear in Sarah Ruhl’s The Clean House; Tony Award-nominee Micah Stock will appear in Jason Kim’s The Model American and Halley Feiffer’s Moscow Moscow Moscow Moscow Moscow Moscow; Christopher Livingston, LeRoy McClain and Joniece Abbott-Pratt will perform in Harrison David Rivers’ Where Storms are Born; and Rebecca Henderson will perform in Moscow Moscow Moscow Moscow Moscow Moscow. WTF also announced today the recipient of the 2017 L. Arnold Weissberger New Play Award, the commissioned artists under the 2017 New Play Commissioning Program, the 2017 Playwright-in-Residence, and the recipients of the newly established James Giddens Musical Theatre Commission. They are as follows: Heather Raffo is the recipient of the 2017 L. Arnold Weissberger New Play Award and The Jay Harris Commission for her play Noura. The artists under the 2017 New Play Commissioning Program are: Nathan Alan Davis, Meghan Kennedy, Justin Levine, Bess Wohl and Big Dance Theatre. Additionally, Michael R. Jackson will serve as the Festival’s 2017 Playwright-in-Residence. Finally, Marsha Norman and Zoe Sarnak are the recipients of the James Giddens Musical Theatre Commission, established to honor WTF Trustee James Giddens, who was honored at the Gala in NYC. 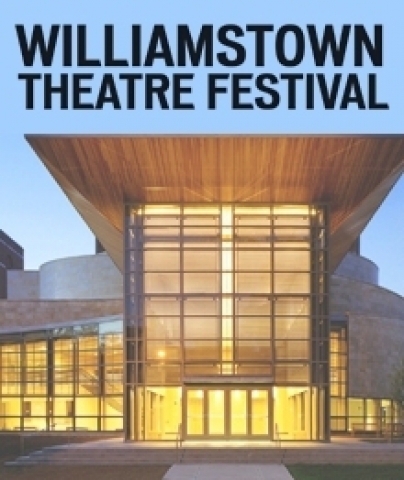 Williamstown Theatre Festival administers the L. Arnold Weissberger New Play Award on behalf of the Anna L. Weissberger Foundation. Championed for the Festival in 1998 by late Trustee Jay Harris, the award honors noted theatrical attorney and avid theatre supporter L. Arnold Weissberger, and it is designed to recognize excellence in playwriting. The recipient of the award receives $10,000 for the winning play, a reading at Williamstown Theatre Festival, and optional publication by Samuel French. The 2017 finalist judges were Oliver Butler, Saidah Arrika Ekulona, David Eppel, Boo Killebrew, and Joe Tracz. Williamstown Theatre Festival is currently accepting submissions for the 2018 L. Arnold Weissberger New Play Award. Nominations are solicited by invitation only. The New Play Commissioning Program, launched in 2015, commissions and develops three to five projects annually from playwrights, composers, and collaborative devisers from across the career spectrum. Each commission also includes a writing residency at Williamstown Theatre Festival. The 2017 New Play Commissions are graciously supported by Andrew Martin-Weber. The Williamstown Theatre Festival Playwright-in-Residence works and lives at the Festival for the duration of the summer. They contribute not only by writing plays that will be seen in the Festival’s reading series and potentially on the Festival stages, but also by creating program dramaturgy for playbills and moderating post-show talkbacks.